Mad Hatter's Pantry: Vegan MoFo - Day 30! 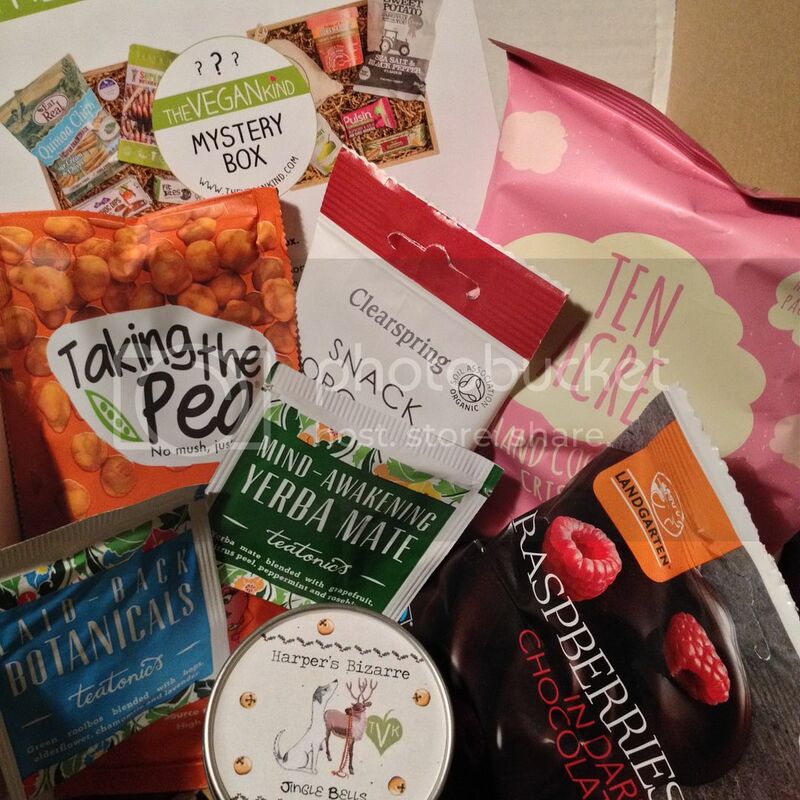 The last day of Vegan MoFo has brought with it my mystery box from The Vegan Kind! Woohoo! The Mystery Boxes are ace - at a cheaper price than the monthly box, you get an awesome selection of bits and bobs that have been in previous boxes. Who wouldn't like that?! I just want to say a huge WOW to today's randommofo post - LOOK AT THIS PIZZA from Vie De La Vegan! What an awesome MoFo - I can't believe it's over already! I did miss a few days here and there but to say I hadn't planned anything, I think I managed to keep up pretty well despite how busy work and life have been. Now to sleep. See you all next year for some more MoFo fun!